Sesame seeds are a good source of vitamins, minerals, fiber, healthy fats, and protein. In fact, adding gound sesame seeds to salads helps the body absorb the fat-soluble phytonutrients in greens. They also contain lignans, anti-cancer compounds, which may reduce the incidence of breast cancer. Sesame seeds have been found to have anti-inflammatory compounds. A two-month study, which added one-quarter cup of sesame seeds per day to standard treatment for osteoarthritis of the knee showed a significant decrease in pain levels in participants. Sesame seeds, as well as nuts and legumes, are a great source of phytosterols. Phytosterols maximize cholesterol reduction. Sesame seeds specifically provide the most benefit of all nuts, seeds, legumes, and grains. 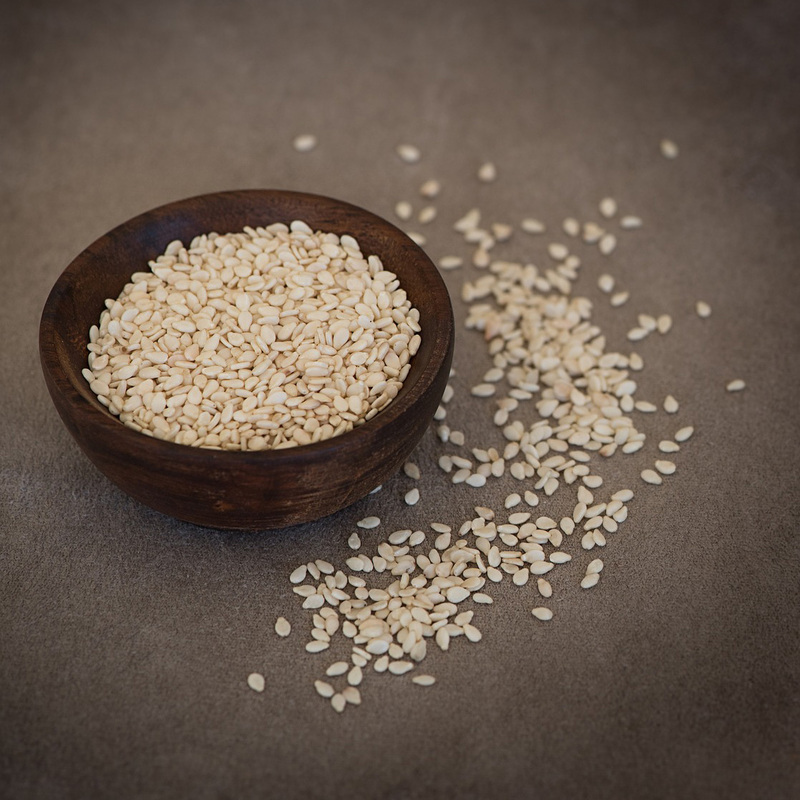 The sesamin in sesame seeds also was shown to help lower blood pressure a few points within a month, enough to lower stroke and heart attack risk by five percent.